Lightroom Focus Mask plugin highlights the areas that are in focus. Lightroom 4 and later only! 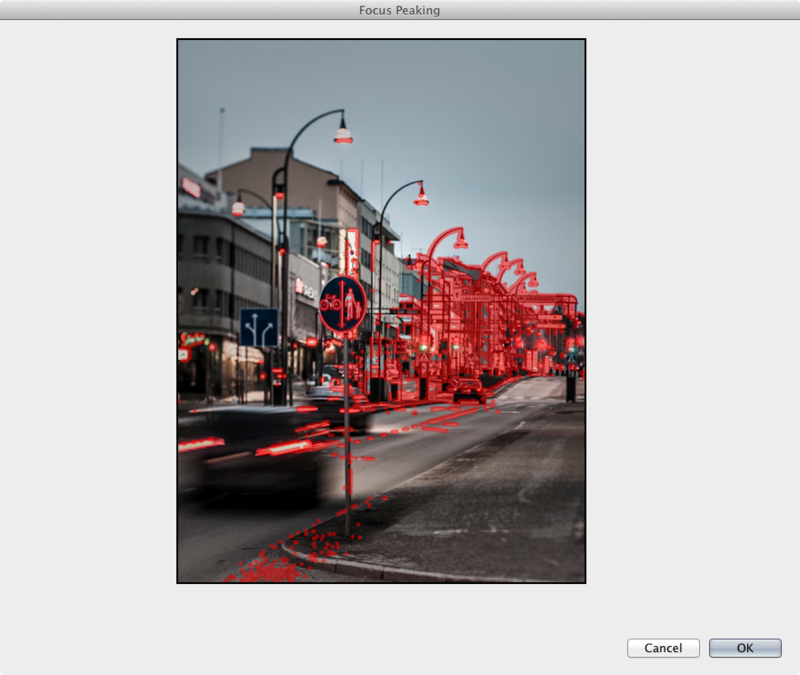 This is an early beta version of focus mask plugin for Lightroom 4.x and 5.x. After installation, you can open the plugin from File / Plug-in Extras / Focus Mask menu item. The plugin opens with either single image, or several, depending on your current selection. In single image mode, the photo is shown in larger size, and in multiple images, the view can be scrolled. Currently, the amount of images is restricted to 32. On top of each image, you can see a pure red mask, which indicates the areas with most detail. Note that this does not necessarily mean that your image has acceptable sharpness, but it is generally a good indication of how sharp the image is. On the Mac version, clicking the image selects it as “active” image. Currently, this does not work on Windows, because Lightroom has some huge differences between UI controls on Mac vs. Windows. This plugin operates on Lightroom’s preview images, so it is essential that you have rendered at least standard-sized previews of your images. Since Lightroom does not have proper APIs for accessing the preview images, this plugin accesses Lightroom’s internal files. This means that if the preview is not yet written into a file, plugin will render the focus mask incorrectly. The mask images are stored inside your catalog preview directory in separate “focusmask” directory. Deleting this directory will also remove all pre-rendered masks. This is a very interesting idea. It would be helpful to see larger-size previews with masks when in multi-image mode. Perhaps you could make it so that there was a button on the larger preview that would advance you to the next image? If that doesn’t work, sure there could be a way to go through selection using the bigger image view. Unfortunately, Lightroom controls don’t support any key controls, which would be highly useful with such navigation. Thanks for creating something that I know a lot of photographers wish lightroom had. +1 on zoom and bigger preview and more navigation. Works OK on some pictures, but not enough to be useful in most workflows. Viewing *Level of detail* would be an awesome control feature. Like a levels reader of Topaz Detail. When eyes are out of focus just how far out are they? Maybe Red for In Focus, Dark Pink for 1-3 pixel/% soft, Light Pink for 4-6 pixel/% off, etc. Or a slider like on the PShop High Pass Filter and watching how much detail is affected. When there will be an updating of this product for LR 5? 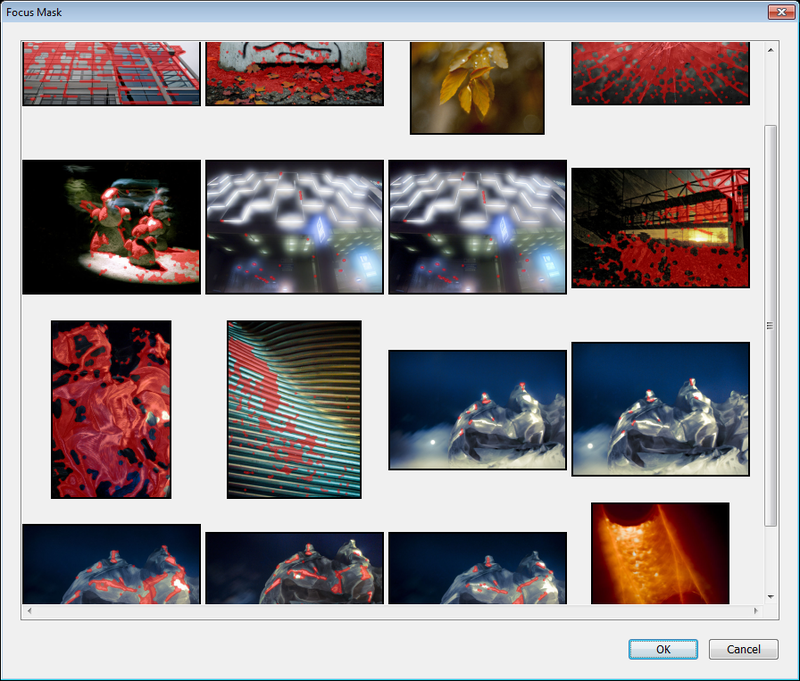 LR5 SDK is not out yet, I’m hoping to see a new API to render previews there and I’ll make an update with it later on. That said, it works with LR5 as well, as long as you have previews already rendered. thanks a lot for this plug-in!!! This is just great. I was looking for this for a long time. It works so well with LR CC. Awesome idea – I’d pay huge money for a focus check that auto showed which images had a strong focus point and where it was . When I say auto I mean that it would show it in the main library or develop view in LR without needing to select each image. Also, this shows focus on every image, it doesn’t seem to discern between achieved focus and things that are close to being in focus but that are not actually in focus. In all honesty this is an excellent effort but not useful to me because once I zoom an image I can tell for myself what is in focus. (so it’s not a time saver) I will be the first to buy this if it can auto scan every photo in a shoot and highlight only the ones with a strong focus point. Hope all that makes sense? It’s hard to describe. Hi I was looking for something that would save me time… but on slower computer it takes quite a lot of time which I understand but when I pick more photos I am not able to see it closer which makes it quite useless but I see great potential. If this could become part of lightroom and could be done in the process of import that would save loads of time. Imagine that you import your photos and apply your basic presets which I do everytime and then you could just turn it on and off to see and choose all the photos. I can imagine this working together with focus point information unless you recompose your pictures but still if this could become part of lightroom I think it would mean a lot especially with capture one having this feature composed well into it directly.